The former director of Bill & Melinda Gates Foundation's Postsecondary Success program will lead Pennsylvania's 14-campus State System of Higher Education. Daniel Greenstein, who also served as an administrator in the University of California System, will become the fifth chancellor in September. The Board of Governors is hoping the choice is a "game changer," as Chair Cynthia Shapira called it in a prepared statement. "With the appointment of Dr. Greenstein as chancellor, the state system makes the strong statement that we are committed to our mission of providing accessible, affordable, quality higher education to students while serving the needs of the Commonwealth, even as we redesign ourselves for the future," she stated. 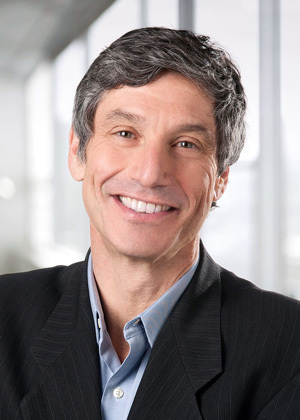 During his time at the Gates Foundation, Greenstein worked on several innovative higher education initiatives for increasing the number of degrees and certificates awarded and filling the achievement gaps between majority and non-majority students, with a focus on low-income and first-generation students of color and working adults. The Penn State system, which enrolled about 107,000 students in the latest academic year, recently underwent a redesign to focus on three priorities: boosting student success; transforming its governance structure by dumping some policies and streamlining others; and leveraging the strengths of its universities, such as its ties to regional workforce needs. Student success and affordability are prime targets for attention. According to the latest U.S. Department of Education numbers, while the university system's campus in Westchester had a six-year graduation rate of 69 percent, its Edinboro campus graduated only 44 percent of students over the same period and the one in Cheyney (an "Historically Black" university) graduated just 21 percent. Greenstein expressed excitement about his new role. "The 14 universities that make up this system play a vital role for the people and the Commonwealth," he said. "For more than 100,000 students ... the universities provide a bridge to opportunity; an affordable and reliable pathway to upward mobility, into the middle class and beyond. These universities are the lifeblood of countless who live in communities across Pennsylvania. Nearly 90 percent of our students are residents who stay here to live and work after they graduate, making our universities the engines that drive economic development and strengthen the very fabric of our society." The appointment received support from at least one faculty member. "I was immediately impressed with the unique blend of humanities, social sciences, technology and administrative experience that Dr. Greenstein brings to the table," said Laura Delbrugge, chair of the Foreign Language Department at Indiana University of Pennsylvania. "He fundamentally believes in the mission of a public university system and has a proven ability to work collaboratively — across many stakeholder groups — as an advocate for inclusion and student success. That powerful combination of skills and attitudes makes him an exciting choice to lead the State System at this critical juncture."